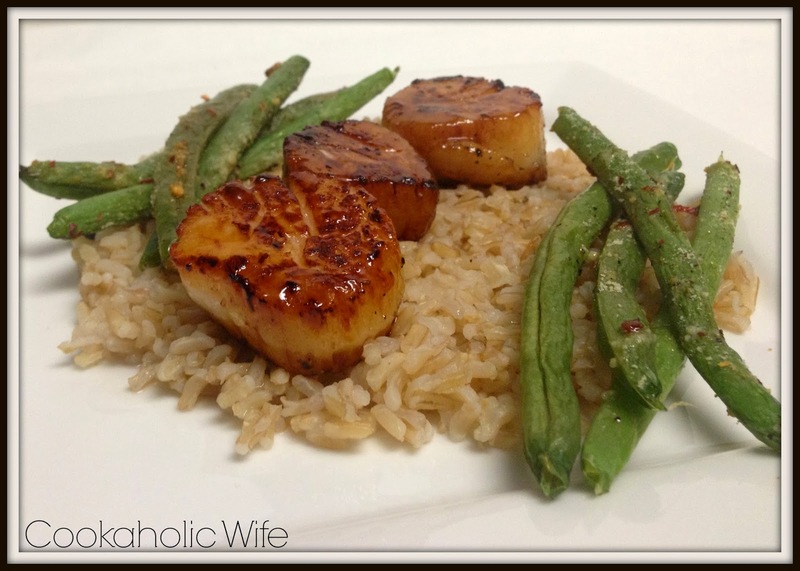 Back when I first started cooking on a regular basis, the grocery store had sea scallops on sale and we picked some up. 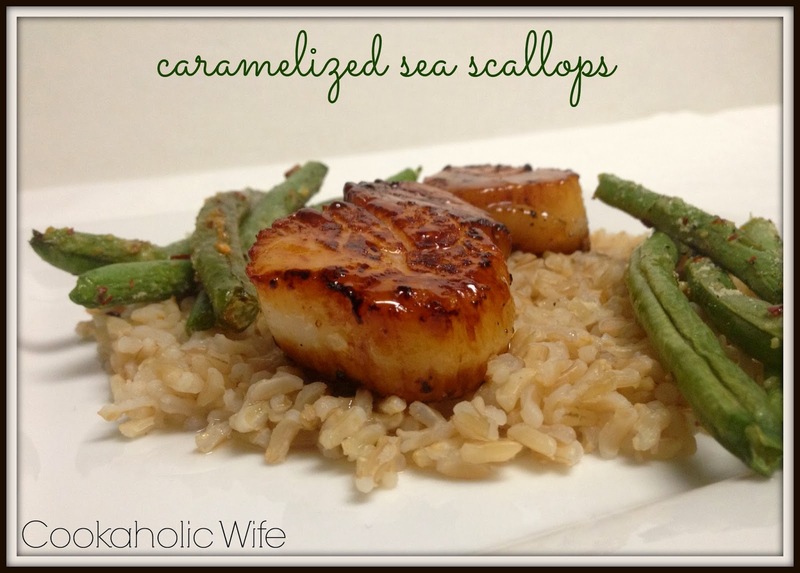 I’d only had scallops at restaurants before and I had no idea how to make them. Back then, Food Network and Allrecipes were my go-to locations to find recipes. I ended up on Food Network and found this recipe by Paula Deen. I showed the recipe to Tom who said that it looked delicious and we agreed that my first foray into scallops would also be my first time making a Paula Deen recipe. 1. Combine 3 tablespoons of sugar, water and corn syrup together in a small saucepan and heat over low heat. Bring to a simmer and allow to thicken, then remove from the heat and set aside. 3. Add butter and vegetable oil to a large skillet over medium heat and allow to melt. 4. Place the remaining 1/4 cup of sugar in a small dish. Season both sides of the scallops with salt and pepper, then roll each scallop in sugar. 5. Place scallops in the prepared pan and cook for 3-4 minutes on each side or until golden brown. 6. Divide scallops among 4 plates and drizzle with the reserved sauce. Now at first glance, I totally understand if you think sugar and scallops is a disgusting combination, but I can promise you that it is not. First, it doesn’t make the scallops sweet, like candy-sweet. It just provides enough sugar to create this crunchy caramelized coating on both sides, which again, isn’t super sweet. We ate this over browned rice with Parmesan roasted green beans.